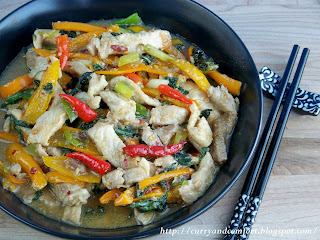 The first time I tasted Thai food (I was an adult) and I fell in love with the flavors instantly. 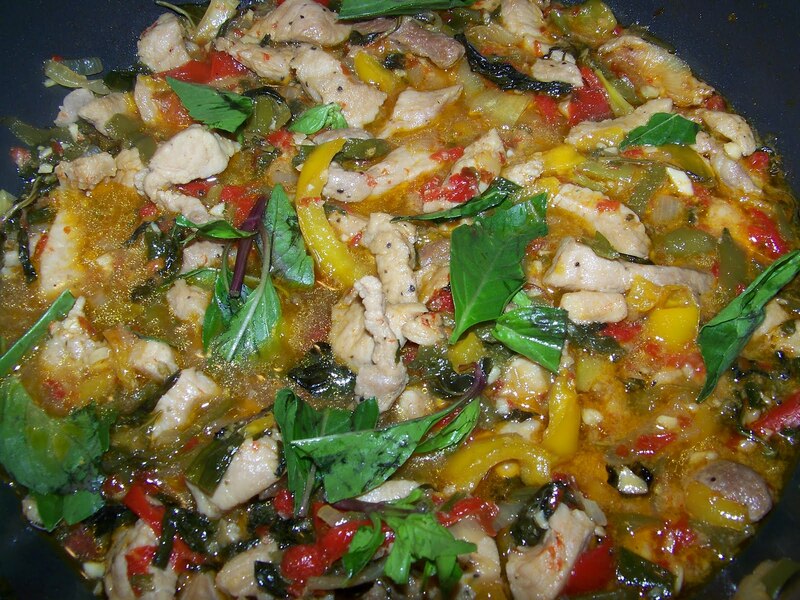 One of my favorite dishes is anything Thai basil. I have ordered Thai basil beef, chicken, fish, pork, shrimp, scallops. 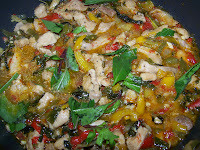 I am growing Thai basil in my garden this year so I was excited to use it in this dish. 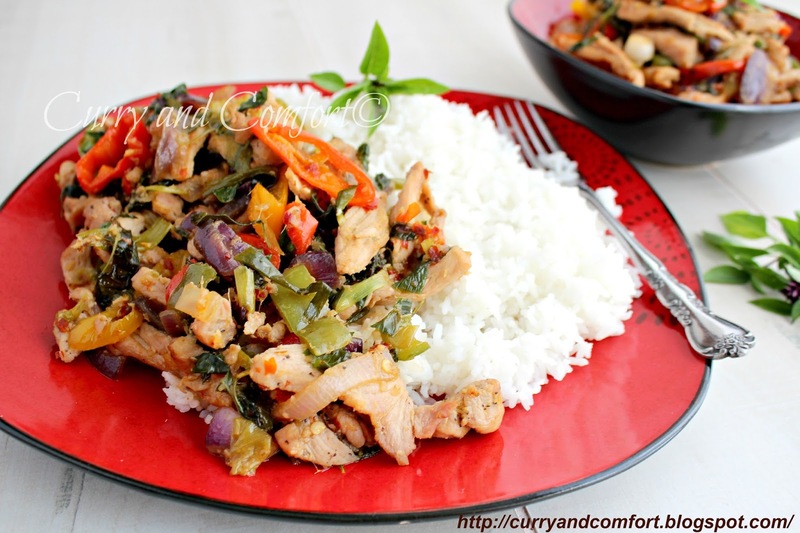 This Thai Basil Pork is full of bold flavors and it is a wonderful dish that balances the flavors of sweet, salty and spicy. 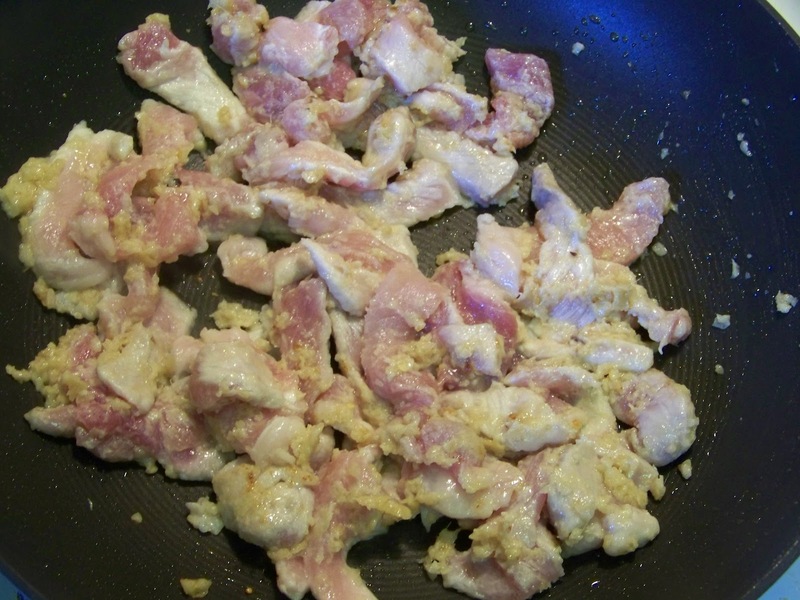 Note: You can substitute any protein in this dish if you do not like pork. 1 bunch of spring onions chopped. 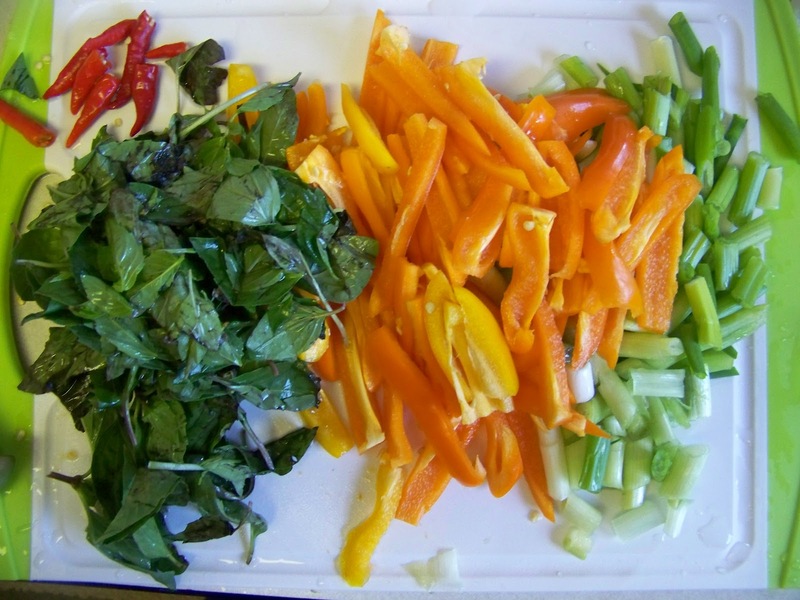 ** you can also add other vegetables in the dish. If you add a lot more vegetables you will need to adjust your sauce accordingly. 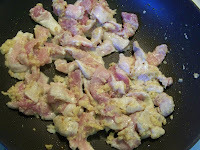 Sprinkle the sliced pork with some cornstarch and salt. Mix well. Heat 1Tbs of canola oil on high heat. 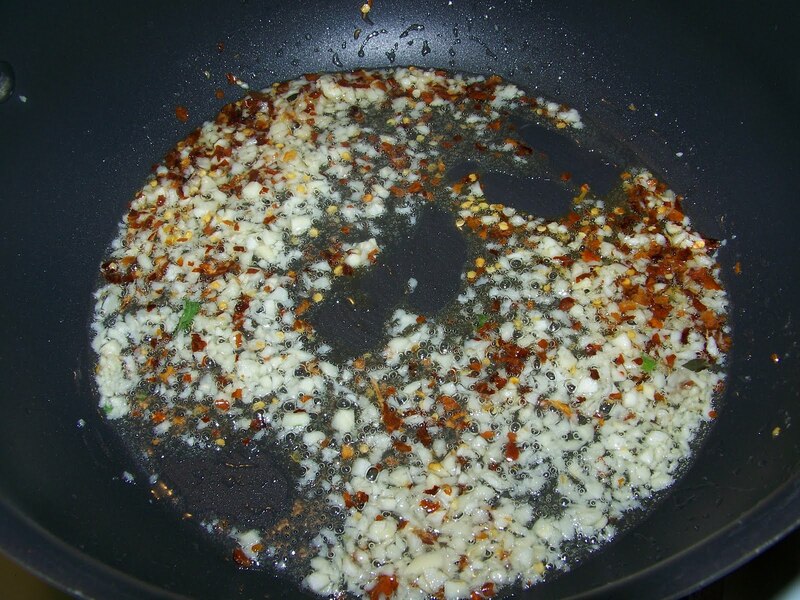 Once heated add garlic, ginger and some dried red chili flakes (to taste) and stir fry for about 30 seconds. Careful not to burn. 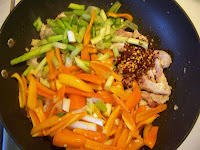 Add the sliced pork and stir fry until pork is almost cooked through. 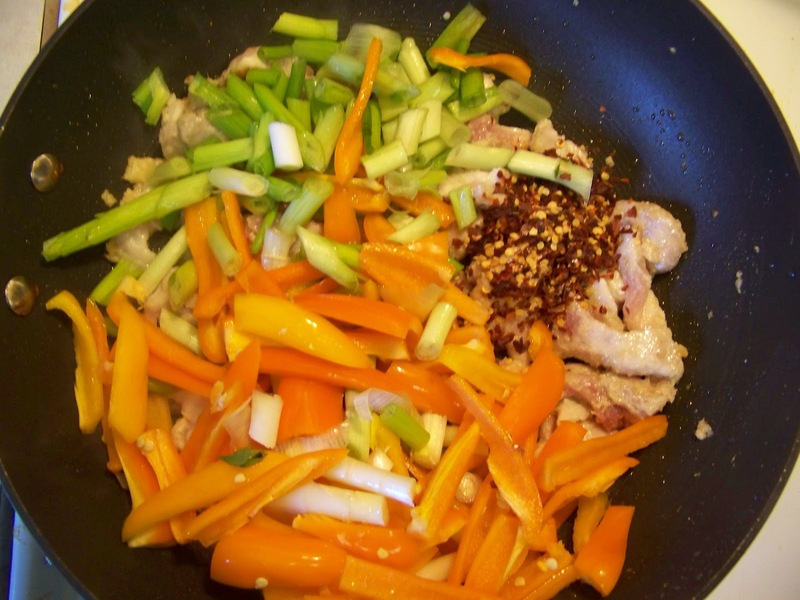 Now add the vegetables and stir fry for 1-2 minutes. 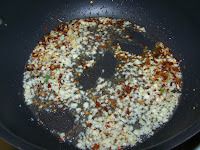 Then add the, basil and sauce. 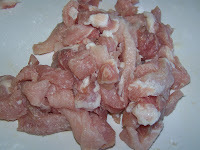 Allow all ingredients to simmer until the pork is cooked through. Serves 4-6 people. 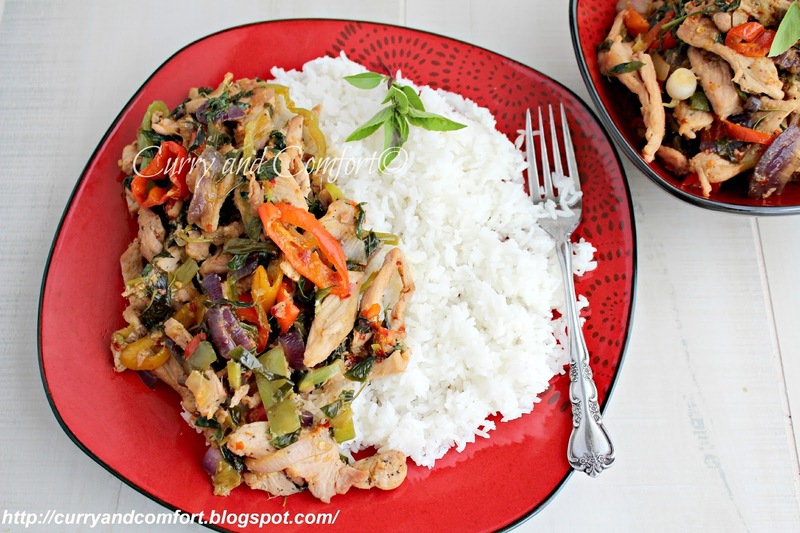 Serve with your favorite rice and Thai bird chilies if you want it extra spicy. Enjoy. Hi, "www.you-made-that-.com". Yes, I love Thai food too. 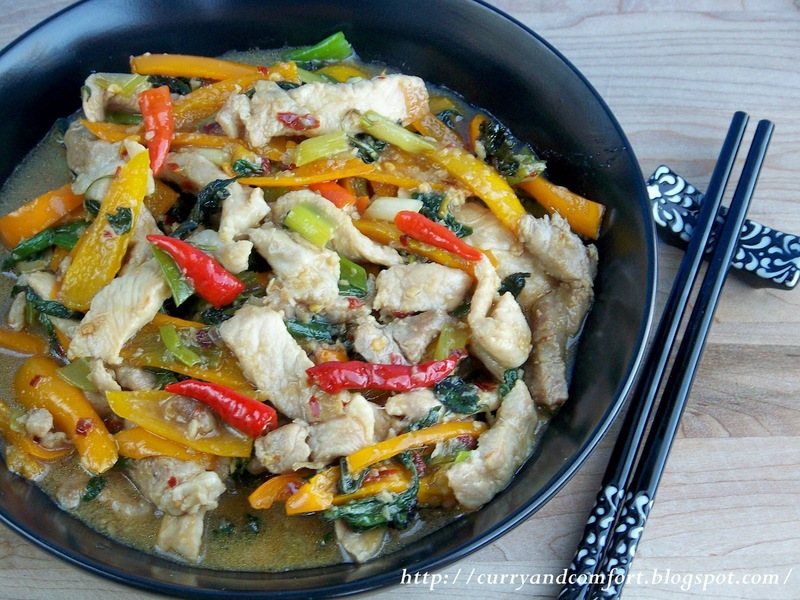 I love this very simple recipe and it's become a go-to for me by just switching out the protein. I even made it last night with noodles. : ) Thanks for dropping by. 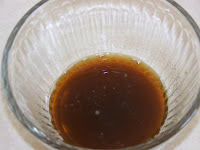 Ooo fish sauce? That's an interesting add. I can't imagine how it tasted. What was it like? Deeeelicious!! I love these kinds of dishes! I am a big sucker of all kind of Thai dishes. This one is just after my own heart. I was an adult, too, when I was first exposed to Thai food...and like you, it was love at first bite. Your pork stir fry looks fantastic, Ramona!!! 2 large handfuls of Thai Basil! 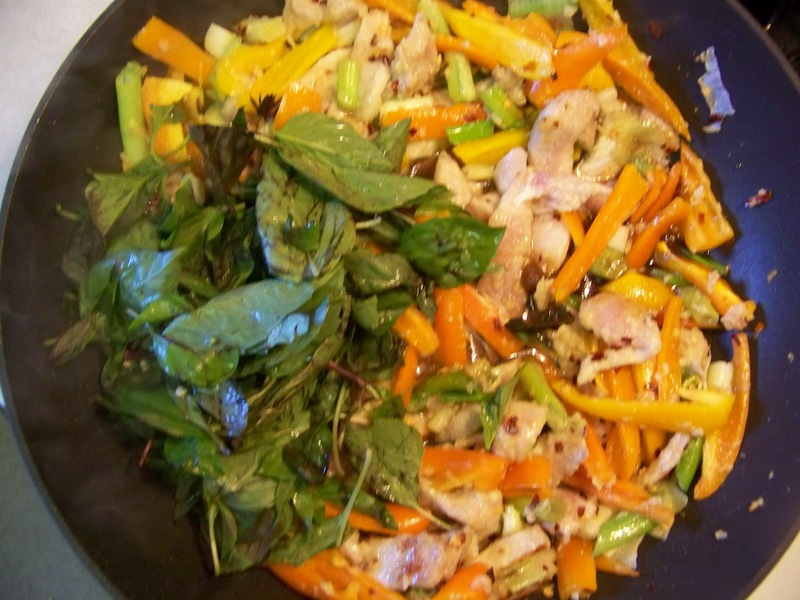 I love any dish with that much Thai Basil! Now I wish I had grown some this year. This dish looks delicious! I'ved got a huge pot of Thai basil and just yesterday John said, "What are you going to do with all that?" Now I know. Looks great! We haven't had stir fry in forever. Now is the time! Oh my gah, this is SO GOOD! 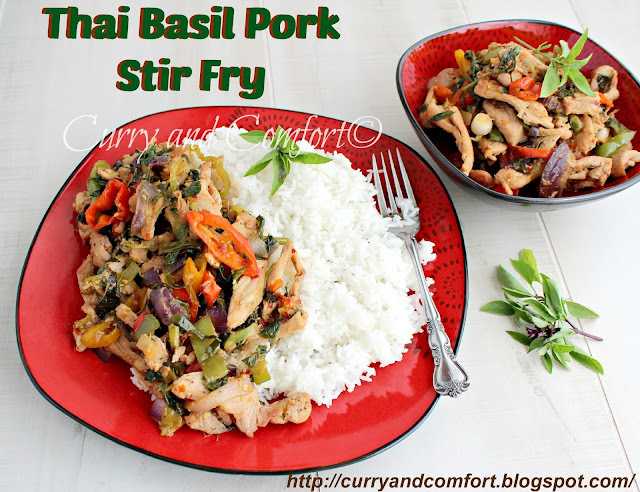 Pork, basil, stir fry... dude. This is SO me! We eat more pork than any other meat and that's probably not a good thing. This dish would be a perfect fit for my family. I tried this for my family. I added some vegetables and other ingredients. Actually, this is very tasty and my family really liked this. I would really create this again when I have time. Anyway, please keep on sharing delicious recipes like this.